Product prices and availability are accurate as of 2019-04-15 06:32:44 BST and are subject to change. Any price and availability information displayed on http://www.amazon.co.uk/ at the time of purchase will apply to the purchase of this product. 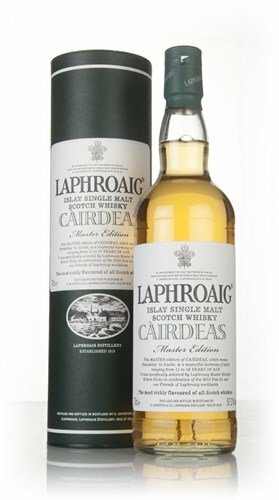 "70cl / 57.3% - The 2010 release of Laphroaig Cairdeas was the Masters Edition, made with whiskies specially selected by Laphroaig Master Blender Robert Hicks. Released as part of the Feis Ile 2010 celebrations. This bottle was part of a private collection - if you'd like more detailed photos just get in touch."